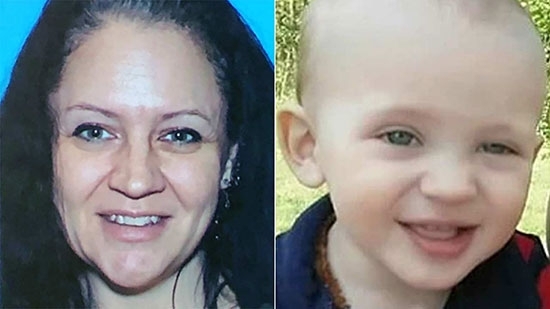 A mother has been charged with homicide in the poisoning death of her 2-year-old son last month in Tullytown, Bucks County. Bucks County District Attorney Matthew Weintraub says that 42-year-old Jennifer Clarey has been charged with criminal homicide. Mazikeen Curtis was found dead inside his home on the 500 block of Lovett Avenue in the evening of Saturday, August 25th. Neighbors called police after observing Clarey acting out of character. She was found in the home with self inflicted wounds to her wrists. Weintraub said that Clarey poisoned her son by putting a fatal dose of Vicodin in his sippy cup. The powerful opioid painkiller was found on the cup and in its contents. A prescription bottle was found in a lock box in the home. She is being held without bail. Two dozen men have been arrested in a sting operation in New Jersey targeting alleged child predators. New Jersey Attorney General Gurbir S. Grewal announced "Operation Open House." The suspects used social media to find underage boys and girls, who were actually undercover officers posing as teens. The suspects were then lured to an undercover house in Toms River with the promise of meeting their victims home alone. Instead, they walked right into a trap and were arrested. They are all charged with at least second-degree luring. Two brothers that went missing on Monday, 9/17, from their West Philadelphia home have been found. 6-year-old Demetri Tiller and 11-year-old Nathanaiel Tiller were last seen in their home on the 5000 block of Ogden Street around 9 p.m. on Monday. They were reported missing around 11:30 p.m. They did not show up for school at Blankenburg Elementary School on the 4600 block of West Girard Avenue Tuesday, 9/18. The boys were located safe and sound later Tuesday morning.